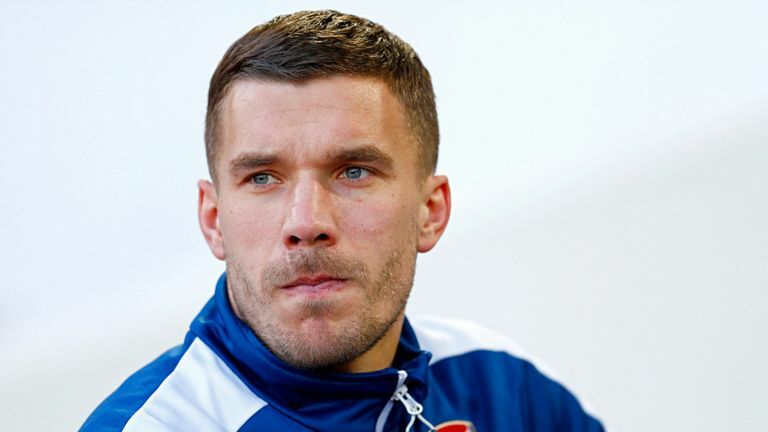 Arsenal forward Lukas Podolski to Inter Milan? LONDON (Sporting Alert) — Arsenal forward Lukas Podolski will reportedly fly to Italy to iron out a proposed loan move to Inter Milan, Sky Sports News is reporting on Friday. The unsettled German forward has not been playing much this season and is looking for a way out so as to get more regular first team football under his belt. It is understood that Inter Milan head coach Roberto Mancini is a keen admirer of the Arsenal frontman and the former Manchester City boss spoke about the World Cup winner earlier. “I know him well, he’s a world champion and Germans always do well in Italy,” Mancini said. Reports in Italy are also claiming that Podolski is expected to be a player at the Serie A giants within the next two days. Arsenal had apparently turned down the first proposal from Inter Milan after manager Arsene Wenger addressed the matter following his team’s defeat at Southampton on New Year’s Day. “Look, the first proposal was farcical. Of course (we are open to discussion),” Wenger was quoted as saying. It now seems that Mancini has come back with a that better offer and Arsenal are willing to let Podolski talk to the Italian outfits.